Hi and welcome to my blog. I have been real busy in my craft room making cards so I decided to share one with you today as a special bonus. 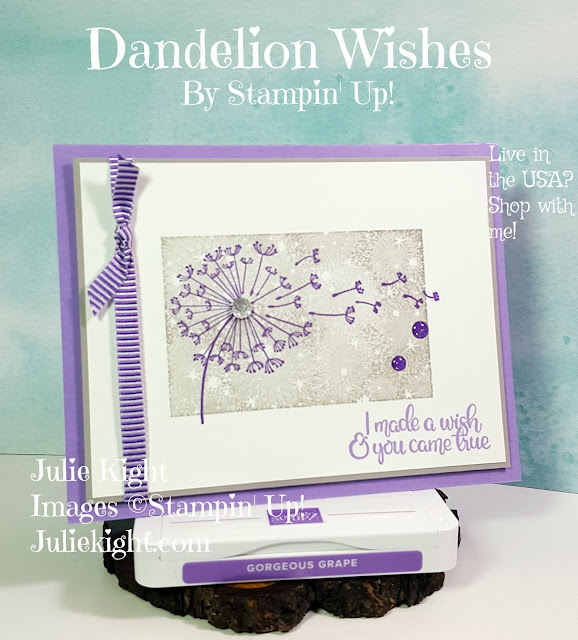 I got the idea for this card from the 2015-2016 Stampin' Up! 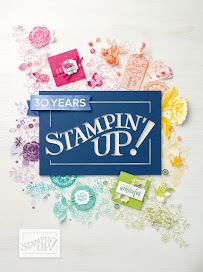 catalog on page 119 with the Garden in Bloom stamp set. There are some beautiful ideas in this catalog. Some would be really easy to recreate. I started with cutting a piece of English Garden and a piece of vellum to 4"x 5-1/4". 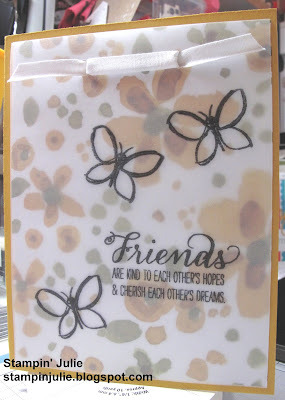 Next, I stamped with the Garden in Bloom set onto the vellum with black Stazon ink. This is to guarantee that the ink would not run or smear. 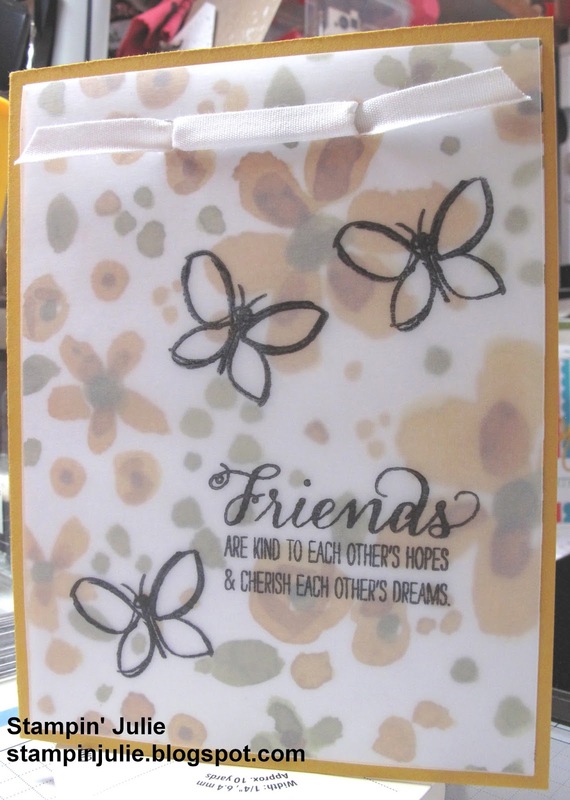 Next I layered the vellum onto the paper and then onto the cardstock and punched holes on the top for the ribbon. I weaved the white ribbon into the holes. The card is done, now how simple was that.